Corner of Deerfoot Trail and Country Hills Bld. NE. Easily accessible from Stoney Trail, Deerfoot Trail and Highway Two. 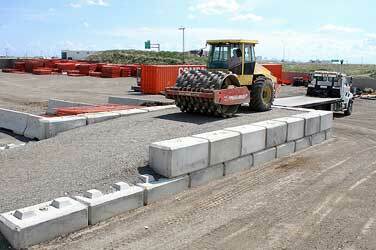 Lot accommodates large tractor-trailer unit turn-a-rounds. Our high quality equipment is well maintained. However, should equipment fail, we replace it immediately with back up units. We understand that lost time is lost money. 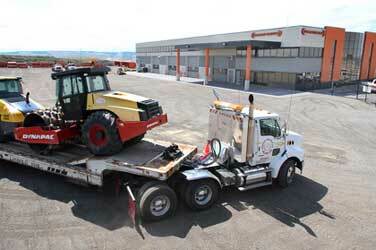 Compact Rentals maintains a fleet of delivery vehicles ranging from pick-up trucks to tractor-trailer units. However, many customers send their own drivers to pick up equipment. It’s your choice. Most of our customers operate in Calgary and the surrounding area. However, Compact Rentals has rented equipment for use across Canada, including the Canadian far north, and in various USA states including Alaska. Our equipment has also been shipped to Mexico and Nepal.